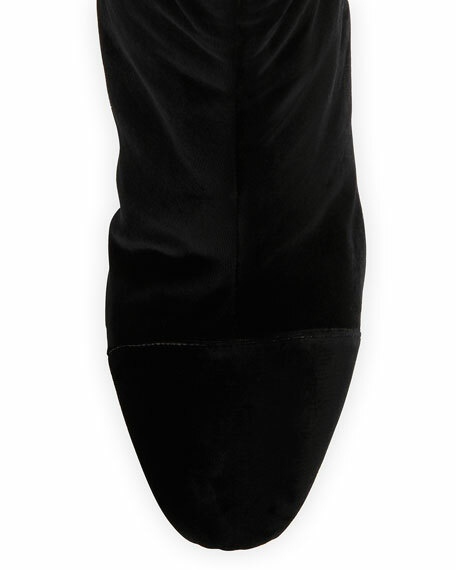 Alexandre Birman velvet fabric ankle bootie. 3.5" shiny covered block heel. For in-store inquiries, use sku #1842260. 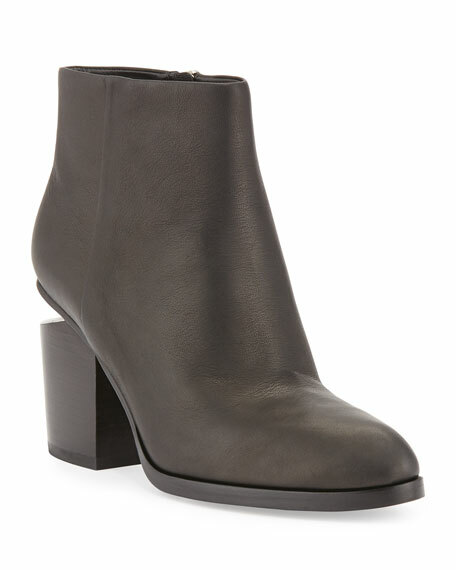 Alexander Wang leather ankle boot. 2.5" block heel with rhodium-tone signature tilt-effect plate. Shaft, approx. 4"H. Almond toe. Side zip eases dress. Leather lining and outsole. "Gabi" is imported. Christian Louboutin knit ankle boot with leather and spiked trim. 4" covered stiletto heel. Pointed cap toe. Pull-on style. Signature red leather outsole. "Dovi Dova" is made in Italy. Exclusively ours. 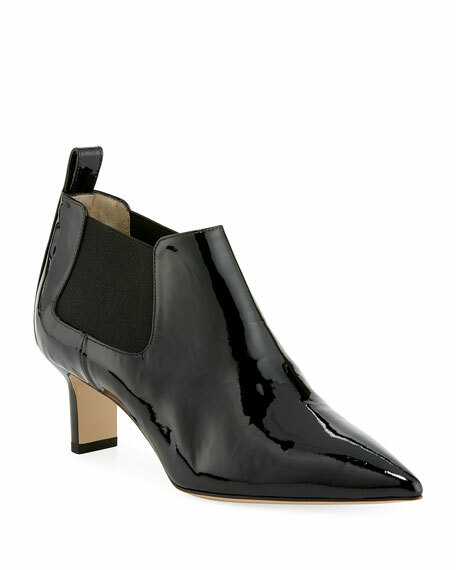 (Black only) Paul Andrew lambskin suede bootie. 2.3" stacked stiletto heel. Pointed toe. Pull-on style. Leather lining and sole. "Banner" is made in Italy.